We are a long established supplier of genuine Mini spare parts at competitive prices. Buy online for immediate despatch or contact us to request parts. 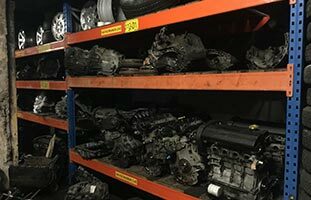 Bradford Auto Spares relocated to their current premises in 2000 and at this time their chosen route was as a specialised MG, Rover, Land Rover and Mini breaker and salvage company. In more recent years they have specialised more and more with Mini spare parts and are one of the foremost Mini breakers in Yorkshire and the UK, having a large array of clients from all areas of the automotive industry. 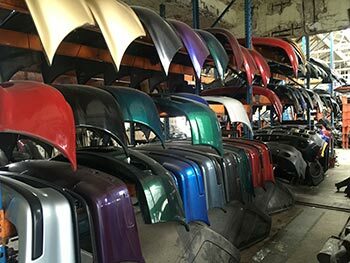 We are located at The Old Co-Op Dairy on Rutland street in Bradford and have a large stock of Mini parts available at all times ready for despatch or collection. Browse our products online or contact us to quickly find out if we have the part you are looking for in stock. Bradford Auto Spares has been a member of the MVDA since 2002 and continues to provide a service that meets the high standards of MVDA membership. The MVDA was formed in 1943 and is an association which represents the UK’s larger vehicle dismantlers. 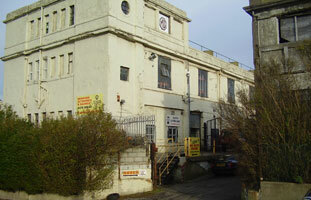 Being a member of the MVDA shows the environmentally friendly and efficient practice of Bradford Auto Spares.